Look at those cute missing teeth! Great little DIY. awesome. I want to wear one to work tomorrow. ah! that last picture is to die for.. so cute. :D It may not be what a young lady such as yourself wants to hear, but jeeze louise you are just adorable in your Max costume, the best I've ever seen! Such a cool and cute idea! This is amazing! You are so cute Hope! Thank you for sharing! Eeek that's so cool! 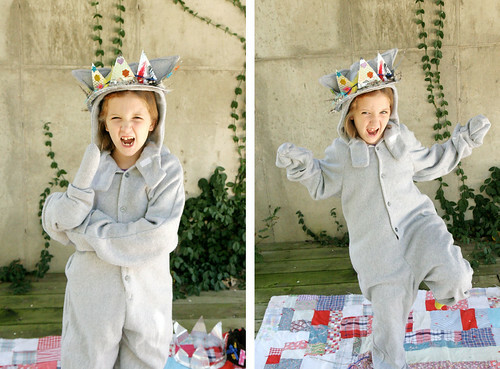 It's the perfect accessory for a Wild Thing costume! This is such a great crown (and costume), Hope! 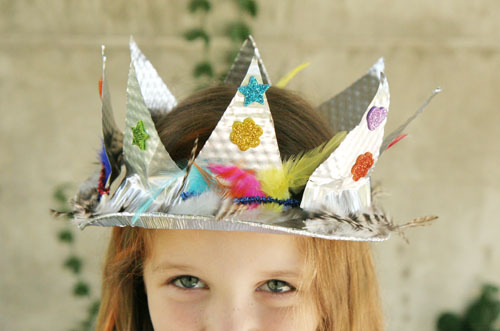 We were making gold cardboard crowns just today but we could have done with some more glitter and feathers like yours. Nice one! This rocks, Hope! The last picture of you is my fave. hope this is so cute! i am going to try it with my nephews! 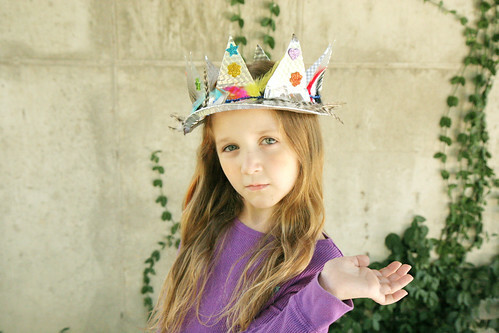 That is just about the cutest crown ever!!! Hope you're awesome! 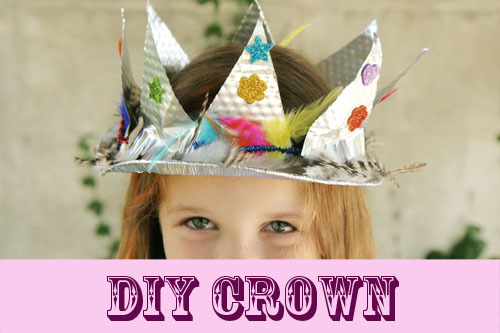 Love your crown! OMG so adorable! Hope your such a character! Love the whole costume together! That last photo is so distinctive! I LOVE that you can be a wild thing or a posh lady! You are too cute and fun, Hope! so so cool hope, love this! i especially love the feather accents you put on it. thanks for sharing! 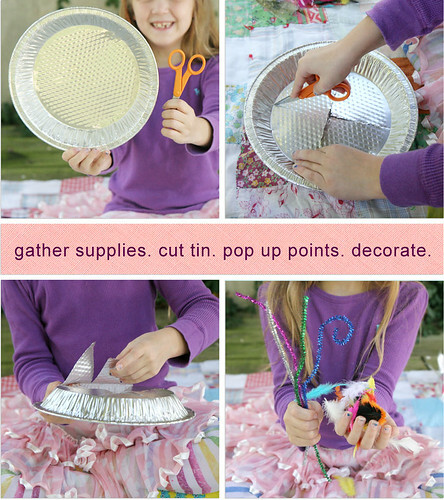 Hope, you are my crafting hero. I love your ideas and think this is such a great one! Your pose in that last photo is my favorite. so cute hope!!! milla plum says "hi!" Hope you are so rad! Can't wait to try this out with Penelope. i love this! i'm 27 and i think i wanna be a wild thing for Halloween now. haha! Great DIY post Hope! Makes me want to make one for myself! Maybe you can use some colorful tape on the sharp edges, so it wont cut. This is by far the cutest blog post I have ever seen. Hope, you are so creative and fun! Thank you Hope, I think I'll make this and wear it to work, do you think they'll mind? It's Thursday today so I can pretend it's Friday, Friday's are definitely crown days. That's great Hope, and it goes so well with your Max costume! Hope, this is SO cute!!! Thanks for the great idea! oh that is really clever! i'm going to file that way in my great ideas from other people that i want to try folder of my mind. pretty AMAZING crown! easy and fun! Hope! This is such a cool project. I can't wait until my eve is old enough to try it. Actually, my son Luke would like it too. He could make a kings crown. Thank you for sharing this with us. You are very creative! ahhh. I think I will do this with my sons when we learn about King David during homeschool. Now hopefully I'll remember about it!